We have no puppy availability at this time. Please complete the Puppy Questionnaire by following the link. 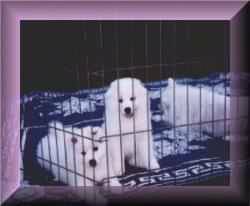 Breeder of top quality "STANDARD" American Eskimo Dogs. 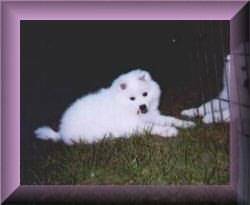 Our goal is to produce quality show dogs and companions with stable, happy temperaments. All pups guaranteed for health and temperament. puppies are sold with a spay/neuter contract. We provide a lifetime home for any puppies sold. We would love to hear from you. Stop back again soon. Some of our happy puppies from our prior litter. Click on the area below you would like to visit.